Prime Minister Zaev hopes that Macedonia and Greece could soon find a solution to the name dispute. He announced that the first meeting between the negotiators of the two countries, with mediator Nimetz, should take place on the 20th or 21st of the month. On the second day of the visit to Slovenia, Prime Minister Zaev made a working breakfast with a delegation of Slovenian businessmen. The Prime Minister will also meet with the President of the State Council, Milan Brgles, as well as with Slovenian President Borut Pahor. Good bilateral relations were confirmed yesterday at his meeting with his host Miro Cerar. 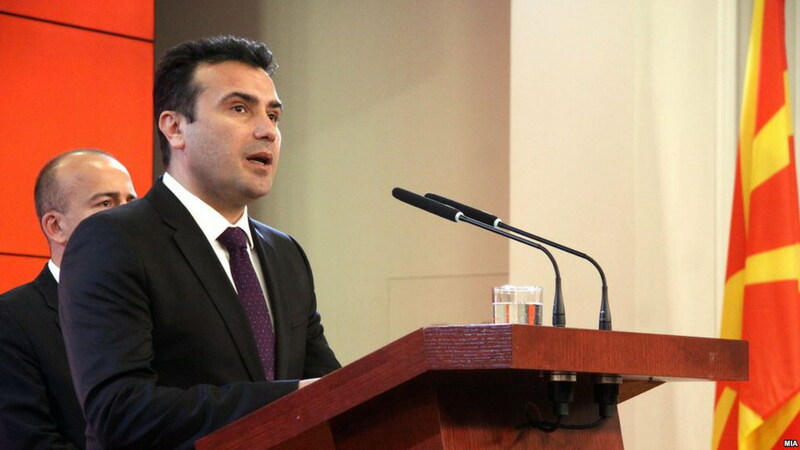 Prime Minister Zaev hopes that Macedonia and Greece could soon find a solution to the name dispute. He announced that the first meeting between the negotiators of the two countries, with mediator Nimetz, should take place on the 20th or 21st of the month. "This month is expected to intensify the negotiations. We, in Macedonia, are trying to build a national consensus, everyone, the president of the state, the government, the opposition, but in the function of finding a solution, and not to delay it, "- Macedonian prime minister stressed. He pointed out that Macedonia is building a friendly relationship with Greece and said that in such friendly atmosphere could be found a solution to this issue.